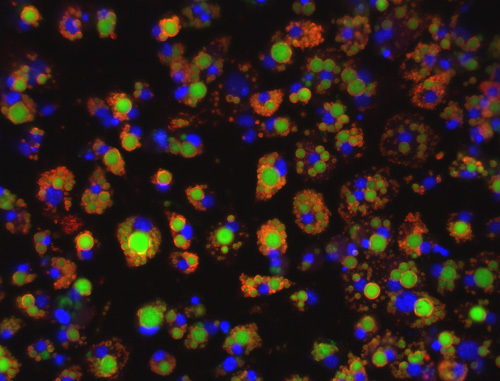 ZenBio now offers Cryopreserved and Cultured 3T3-L1 Preadipocytes! 3T3-L1 murine adipocytes have been fundamental in metabolic disease research for over 30 years. Originally derived from Swiss mouse embryo tissue by Dr. Howard Green of Harvard Medical School, the 3T3-L1 system has been pivotal in advancing the understanding of basic cellular mechanisms associated with diabetes, obesity and related disorders. We now offer both Cryopreserved and Plated sub-confluent 3T3-L1 preadipocytes in 96 well format and media for proliferation, differentiation, maintenance of 3T3-L1 preadipocytes to adipocytes. We also offer media and reagent kits validated using 3T3-L1 and/or primary rodent preadipocytes and adipocytes. 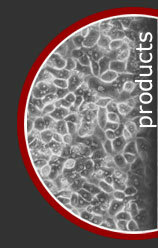 High quality control tested 3T3-L1 preadipocytes designed to work consistently using ZenBio's line of 3T3-L1 media. "We have just conducted an experiment with the 3T3L1 cells that we obtained from ZenBio, and we are astounded by the results! In our previous experience with 3T3L1 cells obtained from ATCC and Sigma-Aldrich, it has always been a challenge to get a high percentage of the cells to differentiate into mature adipocytes...we obtained strong differentiation of virtually 100% of the cells to adipocytes on the first try!" All ZenBio media are available as without phenol-red (-PRF) and/or without serum (-SF). Please inquire for custom media formulations. Fig. 1. Lipid accumulation in 3T3-L1 cells cultured in ZenBio media. Am J Cardiovasc Dis. 2017; 7(2): 33-47. Nat. Commun. 8,14360 doi: 10.1038/ncomms14360 (2017). JCI Insight. 2016 Oct 20; 1(17): e88766. EPAS1 Promotes Adipose Differentiation in 3T3-L1 Cells. Expression, regulation, and triglyceride hydrolase activity of Adiponutrin family members. Andrew C. Lake, Ying Sun, Jian-Liang Li, Jae Eun Kim, Jeremy W. Johnson, Dongmei Li, Tracy Revett, Heather H. Shih, Wei Liu, Janet E. Paulsen, and Ruth E. Gimeno J. Lipid Res., Nov 2005; 46: 2477 - 2487. Isoginkgetin enhances adiponectin secretion from differentiated adiposarcoma cells via a novel pathway involving AMP-activated protein kinase. Guohong Liu, Mirta Grifman, James Macdonald, Peter Moller, Flossie Wong-Staal, and Qi-Xiang Li J. Endocrinol., Sep 2007; 194: 569 - 578. Comparison of messenger RNA distribution for 60 proteins in fat cells vs the nonfat cells of human omental adipose tissue. J. N. Fain, B. Buehrer, S. W. Bahouth, D. S. Tichansky and A. K. Madan Metabolism. 2008; 57 (7): 1005-15. 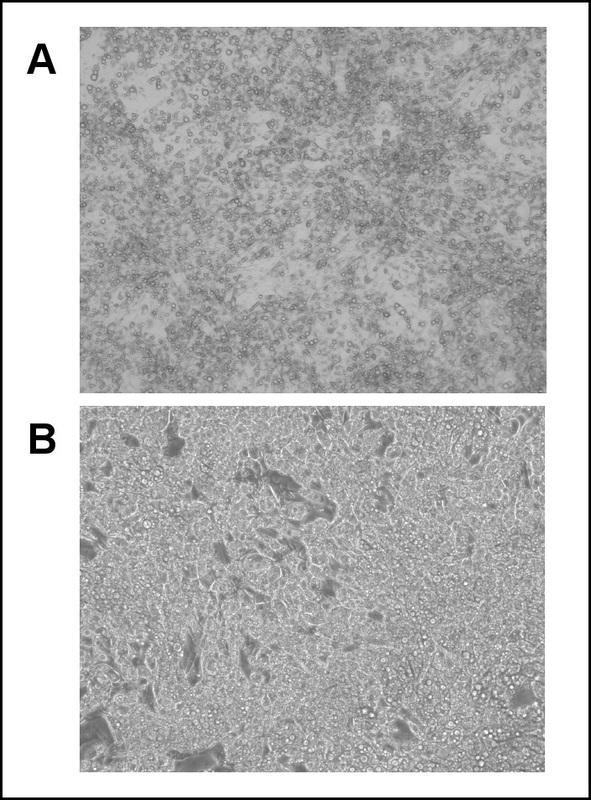 Resveratrol Potentiates Genistein's Antiadipogenic and Proapoptotic Effects in 3T3-L1 Adipocytes. Srujana Rayalam, Mary Anne Della-Fera, Jeong-Yeh Yang, Hea Jin Park, Suresh Ambati, and Clifton A. Baile J. Nutr., Dec 2007; 137: 2668 - 2673. J Exp Med. 2010; 207 (1): 29-37, S1-3. Am J Pathol. 2009; 174 (2): 519-33.